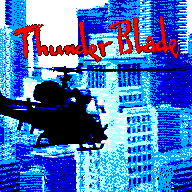 Thunder Blade (サンダーブレード) - Games - SMS Power! 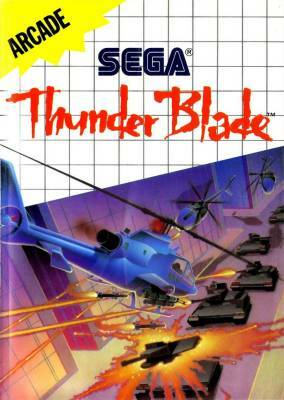 Get ready to take part in the greatest helicopter battle of the century with THUNDER BLADE, the SEGA arcade hit! 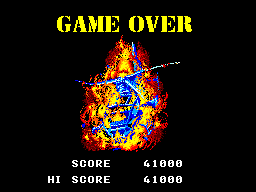 You're the Gunship Gladiator. 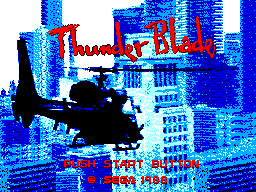 You fly the Thunder Blade chopper. Some say you're unstoppable. This mission will put you to the test! The enemy has invaded your country. That makes you mad. So you're going to stop them ...all by yourself! 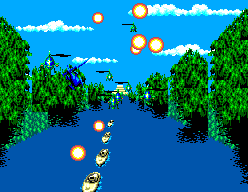 In cities...over deserts and oceans...in caves and through refineries... you're cutting loose with your cannons and dropping air-to-surface missiles from your skids. 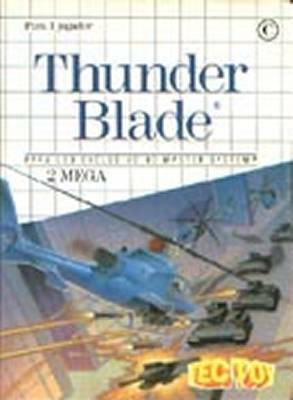 They've got tanks, airpower and incredible super fortresses. 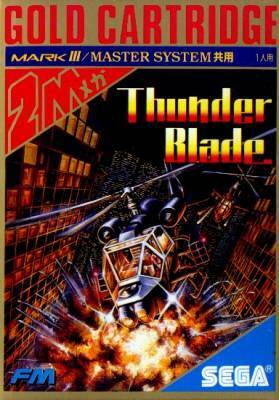 But you haw guts, a taste for glory... and the meanest fightin' copter in the sky!